Could Data Mining Help Scientists Discover a Cure for Alzheimer's Disease? The search for new drugs and treatments for Alzheimer's disease has been like the search for the holy grail. While Alzheimer's science is advancing - every single clinical trial over the last 14 years has failed to produce a single successful new drug. 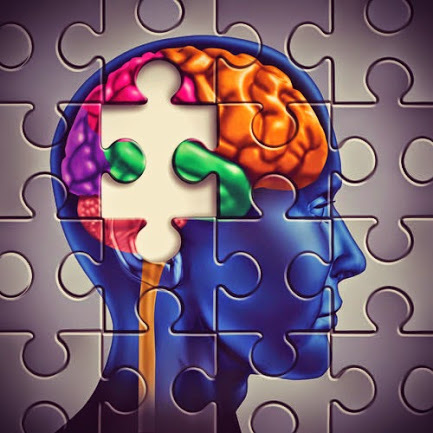 One of the biggest problems is that Alzheimer's patients tend to decline at different rates. For some the cognitive decline is more pronounced, and for some the disease progresses more slowly. This indicates there are many subgroups within the overall patient population. The search to develop treatments for Alzheimer’s disease has been a promising and disappointing endeavor over the past two decades. Results are yielding a greater understanding of the disease yet still fail to generate successful new drugs. Researchers are hypothesizing that the many undefined sub-types of mild cognitive impairment could explain why scientists are missing the mark in the search for a new and effective drug. “Everyone thinks Alzheimer’s is one disease, but it’s not. There are many subgroups. If you enroll all different types of people in a trial, but your drug is targeting only one biological pathway, of course the people who don’t have that abnormality are not going to respond to the drug, and the trial is going to fail.” ~ said P. Murali Doraiswamy, M.D., professor of psychiatry and director of the neurocognitive disorders program at Duke Health. If scientists grouped people with similar types of cognitive impairment, they could more precisely test the impact of investigational drugs. The research was jointly led by Dragan Gamberger, Ph.D., an artificial intelligence expert at the Rudjer Boskovic Institute in Croatia and Murali Doraiswamy. To identify similar disease types, the team used a multilayer clustering algorithm to sort through dozens of data points from two large studies of the Alzheimer’s Disease Neuroimaging Initiative. Study data included cognition tests, brain scans and spinal fluid biomarkers from 562 people with mild cognitive impairment who were followed for up to five years. those whose cognition declined significantly and those who saw little or no decline in their symptoms. The brain scans of the 240 so-called ‘rapid decliners’ showed twice the rate of atrophy as the 184 people with a slow-moving disease. Rapid decliners also progressed from mild cognitive impairment to dementia at five times the rate of those with slow-moving disease, the analysis showed. Published in the journal Scientific Reports, a publication of Nature Research. Join 34,900 readers who already subscribe to the Alzheimer's Reading Room. This is a free service. Be first to get notified about our new articles. We help caregivers live a better life!